The objective of Professional Expert Course Records and Regulatory Affairs It is to provide students with a comprehensive, deep and practical insight into all aspects of the rules governing the registration of medicines, both nationally and internationally as well as all the necessary technical requirements for the marketing authorization of the products with all health and in the shortest time possible. 750 hours. 45 virtual classrooms, virtual tutorials 5 hours, 450 hours of personal work and 250 hours for the manufacture of the final project. For the duration of the course, each student will have access through the Virtual Campus, to all relevant documentation to the areas scheduled. It all contents of study and supporting materials necessary for the proper development of the course is included. Each student will carry out various practical work related to the main areas of the course to be subsequently evaluated by the Program Manager. The Program Professional Expert Course Records and Regulatory Affairs It is structured in five main areas in order to cover all necessary aspects for complete formation of the student. The contents of this first block forms the basis of the course program, it is a key to understanding the rest of the block element. Drug Registration applies to legislation. 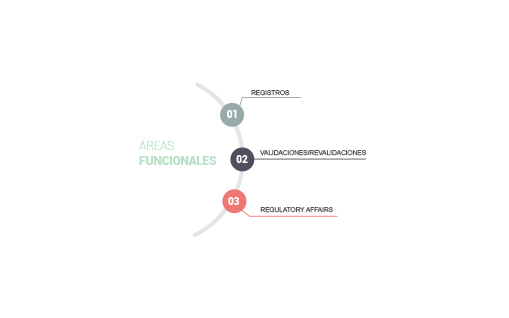 Structure and Organization of the Health Authorities: Spanish Agency for Medicines and Health Products (AEMPS), European Medicines Agency (EMA) Food and Drug Administration (FDA). Types of drugs and dispensing conditions. pharmaceutical legislation applied to Records / Regulatory Affairs both nationally and internationally. the role of the department of records within a pharmaceutical company. 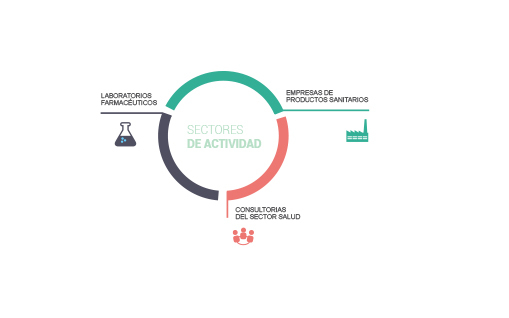 all health authorities involved in the evaluation and authorization of medicinal products. all steps to obtain authorization for a medicine. In this second block is one of the densest as it goes into detail on such important aspects as the preparation of all necessary to obtain the authorization of medicines, preparation of technical specifications, brochures and labeling tools employed with the Health Authorities Documentation for presentation and dispatch of documentation and publicity. Preparation of Electronic Application Form (e-AF). Preparation of Electronic Records: eCTD (Electronic Common Technical Document) and / or NeeS (Non-eCTD Electronic Submissions). Extended Medicinal Product Dictionary (XEVMPD): Eudravigilance. Drug Master File (DMF) / CEP: Open Party and Charter Access closed. Drug labeling and telematics management techniques and prospects tab. Advertising Drug / Health / Supplements and Cosmetics Alimentios. Development of drug registration dossier. eCTD (Electronic Common Technical Document) and / or NeeS (Non-eCTD Electronic Submissions). Preparation of Electronic Application Form (e-AF): Administrative data. Technical Documentation of active ingredients. Drug Master File: open and closed part. Letter of access. Management of databases / tools necessary for filing and sending documents to the Health Authorities. Introduction of drug information and its corresponding update in the Dictionary of Medicines of the European Medicines Agency (EMA). Development of technical specifications, package insert and labeling of medications. telematic management techniques and prospects chips during the authorization process of a new drug and variation of the marketing authorization that involves a modification of the texts. Drug advertising requirements and other legal grounds: administrative procedures with the regions. Getting the marketing authorization of medicines by national procedure. Getting the marketing authorization of medicines by European procedure: mutual, decentralized and centralized recognition. The fourth block is to learn all the regulatory activities performed in the Records Department / Regulatory Affairs for the maintenance and updating of authorizations for medicinal products authorized. Five-year renewal. Cancellation of a marketing authorization. Temporary suspension. Free Samples request. Notifications on the marketing of medicines for human use. Certificate application pharmaceutical. Export and import of medicines. Opening authorization of pharmaceutical laboratories and their modifications. Prices and Financing of Medicinal Products. Updating authorizations for medicines. Registration variations. Other important regulatory efforts to maintain authorizations. As authorization for the opening of a laboratory owner, manufacturer or imported and their dealings with the health authorities is requested. Procedures for import and export procedures and obtaining certificates of drugs. Handling procedures financing and pricing of medicines by the National Health System. telematic application of the Ministry of Health: GESFARMA. Reference prices. Homogeneous groups. In this last block, other legal bases that are managed in the departments of laboratory records applied to medical devices, food supplements, cosmetics and personal care products are addressed. in medical devices: Product record. Distribution and manufacture of medical devices. Obtaining the CE marking. Market surveillance. Labeling of medical devices. in food supplements: Notification of placing on the market. Sanitary registration. Authorization of facilities. Labeling of Dietary Supplements. In cosmetics and personal care products: Notification of placing on the cosmetics market in the CPNP. Labeling of cosmetics. Application National Code. Application for Certificate of Free Sale (CLV). Within the educational philosophy of CESIF and as a training supplement, CESIF ON LINE offers its students after satisfactory completion of their training period, the possibility of having the services of a Professional Career Assistance (specialized in Online Job Search Consultant) which periodically send each student those job offers that fit your profile and are considered attractive for the development of his career. Course of Professional Expert in Drug Registration and Regulatory Affairs is designed to fully develop the professional skills of students in all areas of specialization theoretical and related departments Records / Regulatory Affairs of pharmaceutical companies worldwide practices.